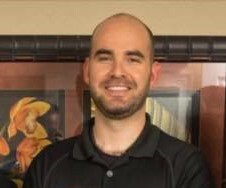 Dr. Ryan Troutman-Briggs is originally from Binghamton, New York and has been a resident of the Tampa Bay area since he was 2 years old. He attended high school 45 minutes north of Tampa, in Spring Hill Florida. Following high school, Dr. Briggs attended Palm Beach Atlantic University in West Palm Beach, Florida, where he attained his bachelor's degree in 2008. Following graduation, Dr. Briggs moved to Port Orange, Florida, where he attended Palmer College of Chiropractic. At Palmer, his passion for helping others was honed by his chiropractic education. Following graduation in June, 2012, Dr. Briggs worked as an associate with his cousin, also a Palmer Graduate , in Spring Hill, Florida. While there, he learned the ropes of private practice and patient management. Following his time in Spring Hill, Dr. Briggs began to seek out an office where he could further expand his knowledge of patient care. An opportunity at Smith Chiropractic presented itself in April, 2013 and Dr. Briggs began practicing as an associate of Dr. Rick Smith soon after. Under Dr Smith's teaching and guidance, Dr. Briggs was able to learn from a well established, successful chiropractor which has allowed him to continue the vison of not only Dr. Rick Smith, but his father, Dr. Robert Smith. More recently, in January of 2018, Dr. Briggs purchased Smith Chiropractic. As before, we will strive to conitnue to serve the Winter Haven community with the best care that chiropractic can offer for many years to come.